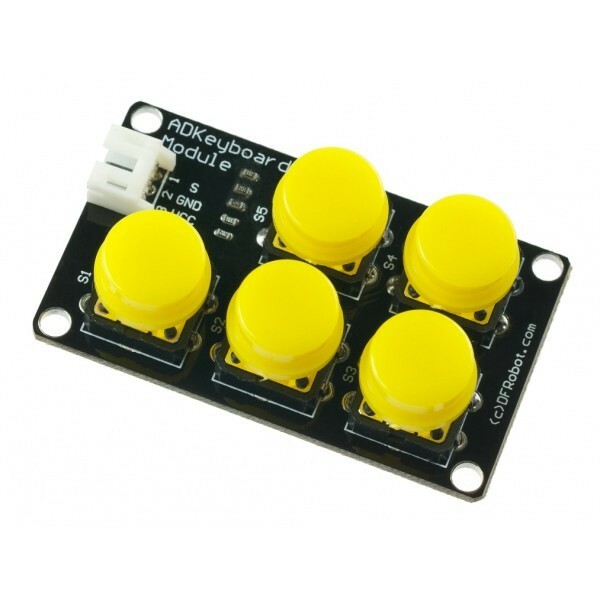 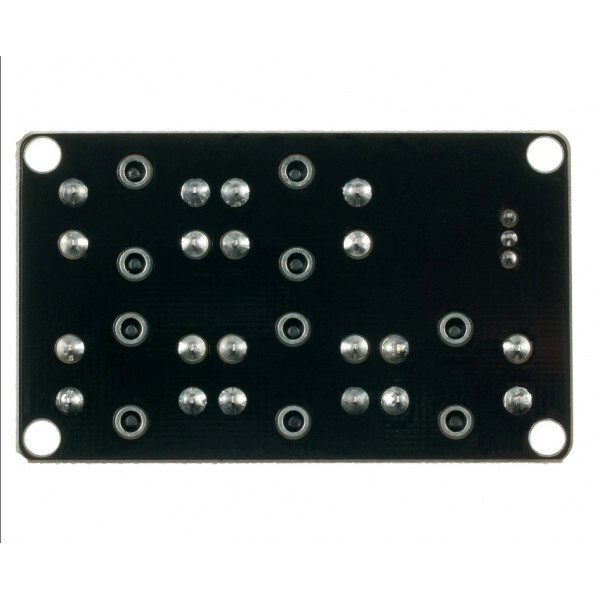 Can be used together with our I/O expansion boards to make amazing interactive projects. 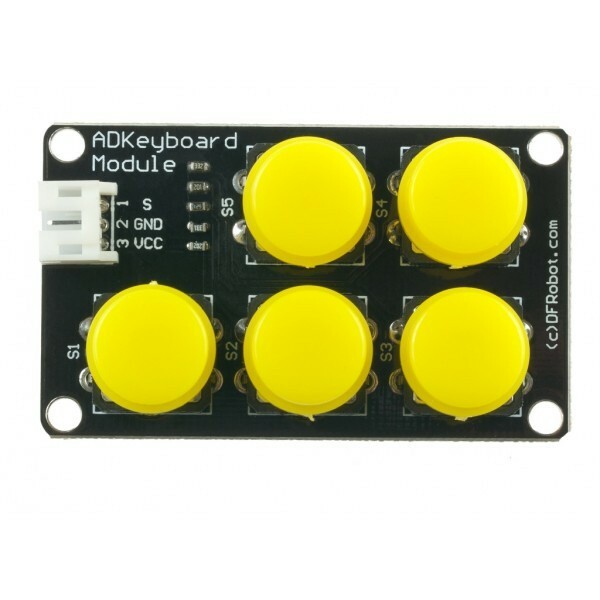 This keyboard uses an analog input to read the five key state which saves IO resource for the Arduino. 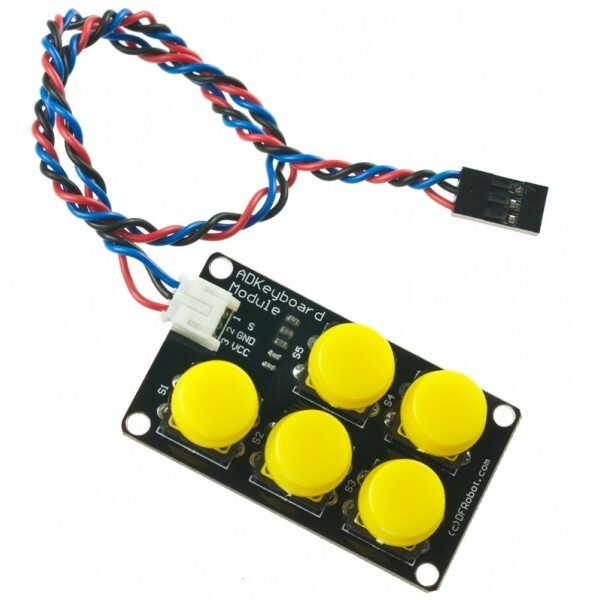 Analog interface cable(1 unit) .